Founded in 2012 by Steve Olivier, Apocalypse Brazilian Jiu-Jitsu is a BJJ powerhouse in New Windsor, NY. Steven has been involved in the Martial Arts for numerous years. He studied various art forms prior to starting his Brazilian Jiu Jitsu studies. He has always been a natural athlete with an amazing ability to see beyond the surface of the technique. Once he began Brazilian Jiu Jitsu it was apparent he would excel quickly. Since starting in 2005 he has earned numerous medals in many grappling tournaments including a gold medal at the 2007 Pan American Championships and 2008 World Brazilian Jiu Jitsu Championships. Steven has been a police officer for the past 8 years using his Brazilian Jiu-Jitsu skills as another valuable tool while working. He has also shared his knowledge with multiple police agencies to share his successes of using Brazilian Jiu-Jitsu. His job gives him the ability to understand the real life functionality of techniques thus giving him the ability to give priority to techniques that are functional in all aspects. 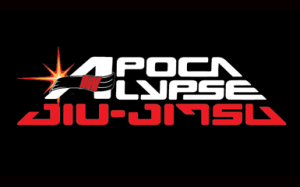 Steven has recently focused his practices on teaching and started his own school Apocalypse Jiu Jitsu in November of 2012. Steven puts great emphasis into the structure of his systems and his teachings with a realistic competitive style that is functional for all levels and ability of students. Now that he has started his own school he can be more than just an instructor he can be a teacher. 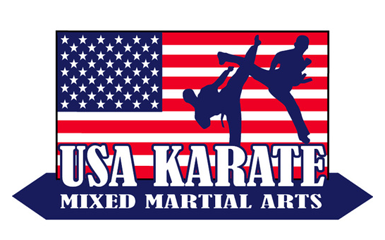 At USA Karate, Boxing , Brazilian Jiu-Jitsu Center we have programs for both Children and Adults. Our Kids Karate/ Jiu-Jitsu program from for children ages between 3 – 14 years old. We will build your child’s self-esteem, while teaching him or her crucial life skills. We also offer Junior Olympic boxing , kickboxing and MMA for children ages 8 – 14. All of these programs develop confidence, self-discipline, focus and concentration. The MMA Collective is an instructional training facility headed by established submission grappler and Kore BJJ Brown Belt Jon Nandor. Together with BJJ Brown Belt Tom Clare, The MMA Collective offers Brazilian Jiu-Jitsu with Gi and Submission Grappling classes as well as a strong Wrestling program. The school have adult and kids programs. It is a perfect environment for the whole family. 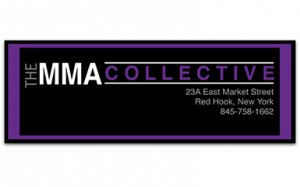 The MMA Collective is located at 25 East Market Street in Red Hook, NY.